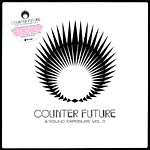 Various Artists "Counter Future – A Sound Exposure Vol. 3"
The compilation opens with the epic, film score-like introduction by producer and bassist Geste. It is followed by one of the label’s latest signings, Italy’s Godblesscomputers with his track Romania. Next is the turn of Greek producer Andreikelos and his Beautiful Mountain of Algos, a powerful downbeat and melodic composition. Germany’s Skyence contributes the haunting, neo space age electronica of Scars while Finest Ego Beat Championship winner Playpad Circus brings the splendid Megalomaniac. Fulgeance provides the epic Cypher with his trademark swing and bounce, Anthony Drawn teams up with Graciellita from L.A. on the stunning Lighthouse while 2econd Class Citizen, Haunted Days & Witch’s Teat and Glen Porter deliver the kind of organic and sample-based vibes they are best known for. Equinox Records was founded in late 2002 as a platform to release music for artists that shared the same ideas and visions of sound and art. Originally based in Munich and residing in Berlin since 2005, the label is still following its early concept of “organic/electronic” beats. Since then, it has released new urban music in genre fields that range from leftfield electronica and instrumental hip-hop to styles like glitch, idm, electro and dubstep. Many aspiring artists have joined the roster or have contributed to Equinox releases so far: 2econd Class Citizen (UK), Deckard (GER), Ceschi (USA), DJ Scientist (GER), David Vangel (CAN), Geste (FR), Kraddy (USA), Son Of Kick (UK), Godblesscomputers (IT), Demokracy (RUS), Sole And The Skyrider Band (USA), Free The Robots (USA), Arcsin (USA), Emynd (USA), DiViNCi (USA), just to name a few. 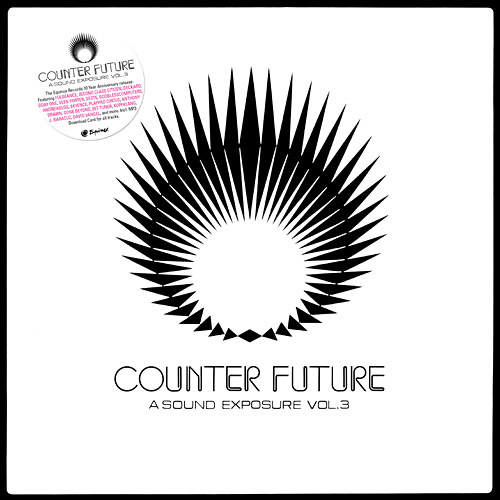 Furthermore, remixers and featured guests included artists like Mochipet (USA), 2Mex (USA, Visionaries), Mikah 9 (USA, Freestyle Fellowship), Fulgeance (FR, Musique Large), Si Begg (UK, Noodles, Big Dada), Awol One (USA) and K-The-I??? (Mush / Big Dada). Concentrating on exceptional and remarkable designs (physical releases often include stencings, embossings, printed inlays and extensive gatefold sleeves) the label has been getting lots positive press feedback in electronica and hip-hop magazines as well as in design and art publications. With physical distribution through Kudos in London (Worldwide) and Finetunes taking over the digital, Equinox Records gained attention from music lovers all over the world. And the formula for the continuous success is quite simple: quality in music, quality in artwork and the fusion of both.